Thank you everyone for the fun night! 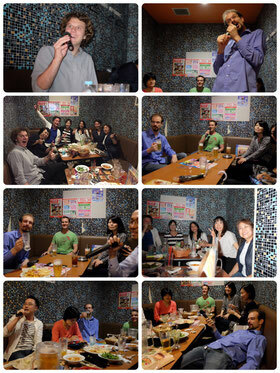 I believe Karaoke is a good way to improve your English skills if you like karaoke. If there are some songs in English that you like, try to understand the lyrics and practice until you get the right tune. It helps improve your pronunciation. Those who missed this time, I hope you can join next time!